We can install a wide variety of gate locks to suit your requirements. Opened by key from the outside. 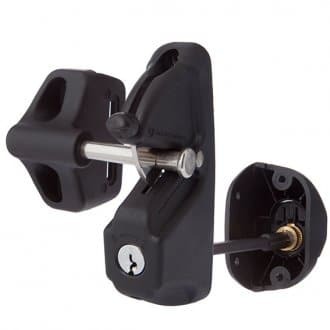 Key Lockable internal turn knob with inbuilt clutching device. Strong interlocking case and mounting plate to resist jemmy and hammer attack. One model fits all gate materials. Super strong engineering polymer & stainless steel construction. Opens and locks from either side of the gate. Suits metal, wood and vinyl gates. The LokkLatch® PRO-SL offers all the popular features of the other LokkLatch® models, with the added security of a self-locking function. 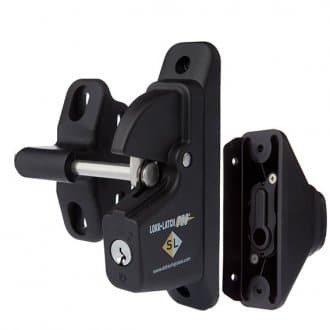 High quality security gate latch. 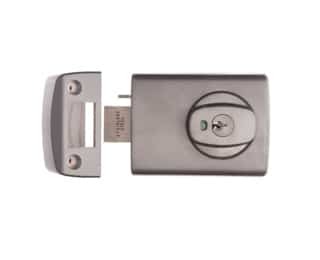 Key retracts latch only from either side, dead locked at all times. Self-locking operation requires a key to enter and exit. Can be installed onto any square or rectangular post from 38 mm to 150 mm. 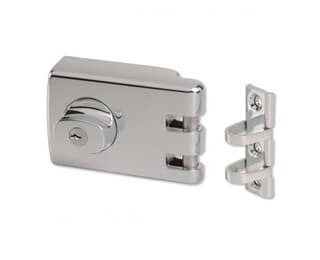 The market leading 002 deadlatch range from Lockwood offers exceptional performance and reliability for various applications where free egress is required at all times. 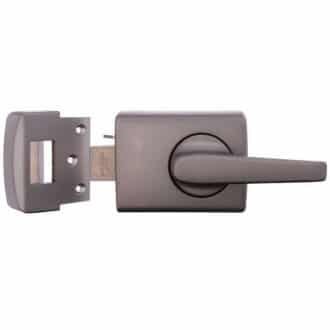 Automatic single cylinder deadlatch for timber frame with internal lever handle. Inside lever free at all times. Cut resistant 18mm projection stainless steel bolt. Hold back function from both sides.